I thought O'Naturals was a fast food restaurant with a location at Brigham Hospital. Can't find it in the North End. Where is it? -sorry about that, the place is actually spelled "Oh Naturale"! 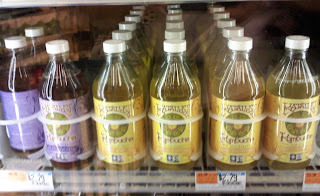 -I updated my blog post, and Oh Naturale is located at 28 Parmenter St.
-the only downside is that they sell kombucha tea at a slightly higher price- $3.99/bottle. 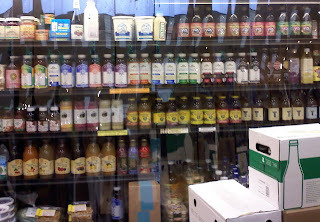 but if you're in the area and need kombucha...there you go! Hm...I only know of online places to buy kombucha mushrooms. I have plenty of extras, though, so if you would like to pick one up from me (around the BU area), send me an e-mail at annaho[at]bu.edu! oh...and i also forgot to mention that i got my first SCOBY from http://www.happyherbalist.com/ based on a referral. but you can also grow your own SCOBY if you'd like (it will probably take around 2 weeks though at least). you can see my old blog posts about my experience doing it!